Washed ashore, North Beach, Racine, Wis. | Canon 1D Mark III and 70-200mm f/4L IS lens @ 70mm | Exposed 1/250 sec. @ f/8, ISO 400. 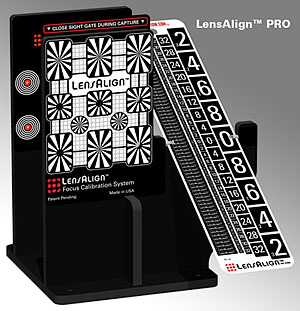 I am presently writing a full review of RawWorkflow’s LensAlign Pro–a product I briefly worked with in June–so I’ve been busy adjusting the autofocus performance of my cameras with several of my lenses. While it’s nice to look at a test photo of a focus alignment ruler and see your depth-of-field falling exactly where it should, there’s no substitute for confirming that the changes are for the better than to go out and make some images! Note that both images in this post were created at f/8, but for different reasons. 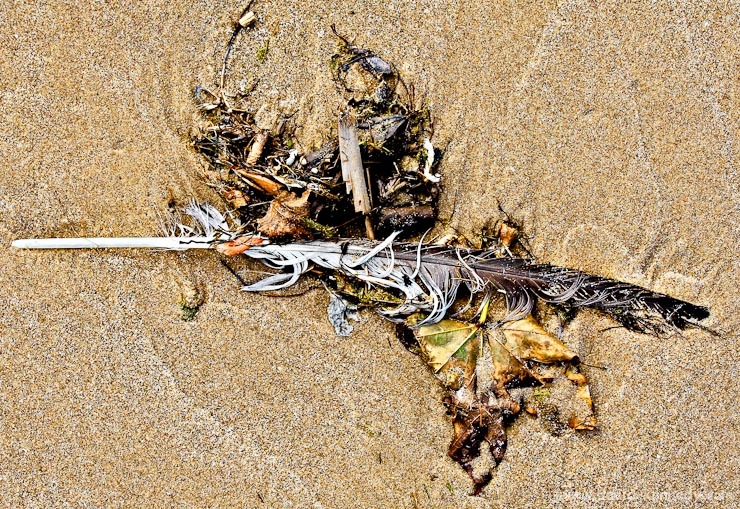 In the image of the feather and debris on the beach, I wanted to make sure that the feather, which was almost flat against the beach, as well as the taller matter, would all be rendered in sharp focus. However, for the photograph of the Ring-billed Gull below, I was using a Canon 1.4x II teleconverter, and I always try to stop down either 2/3 or a full stop from wide open in order to eliminate the vignetting introduced by the teleconverter, and to counteract any loss of sharpness. 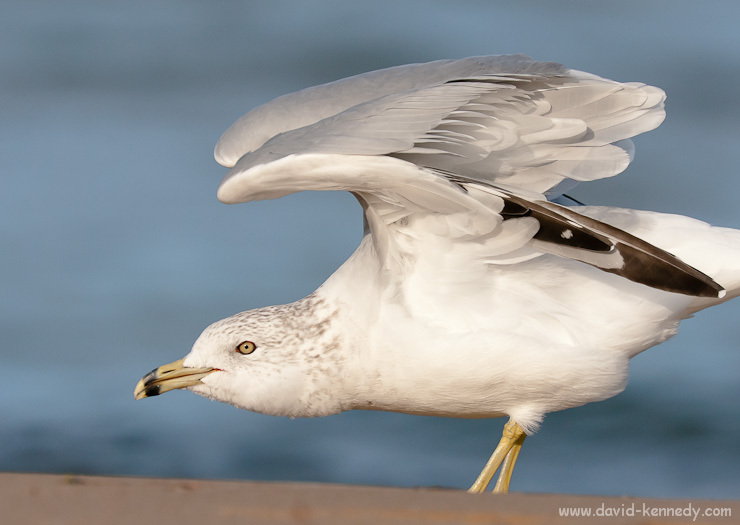 Ring-billed Gull stretching, North Beach, Racine, Wis. | Canon 1D Mark III and 400mm DO IS lens with 1.4x II TC | Exposed 1/1600 sec. @ f/8, ISO 400. 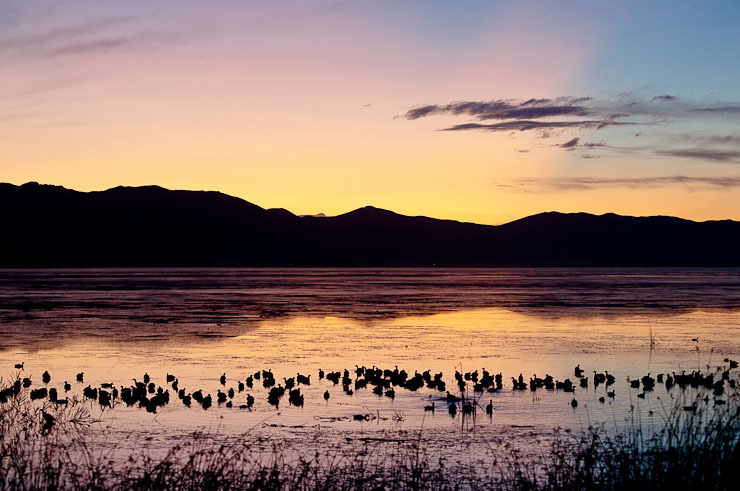 Bear River Migratory Bird Refuge, Brigham City, Utah. Canon 5D Mark II and 70-200mm f/4 L IS lens; exposed 1/100 sec. @ f/5.6, ISO 1600. Back at the end of July, I flew out to Salt Lake City, Utah to join my girlfriend on a car-camping trip along the Mirror Lake Scenic Byway that runs through the High Uinta Wilderness Area in the Wasatch-Cache National Forest. At the end of the trip, we stayed two nights in Brigham City, the gateway to the Bear River Migratory Bird Refuge. In many ways, Bear River is the “Bosque” of Utah. 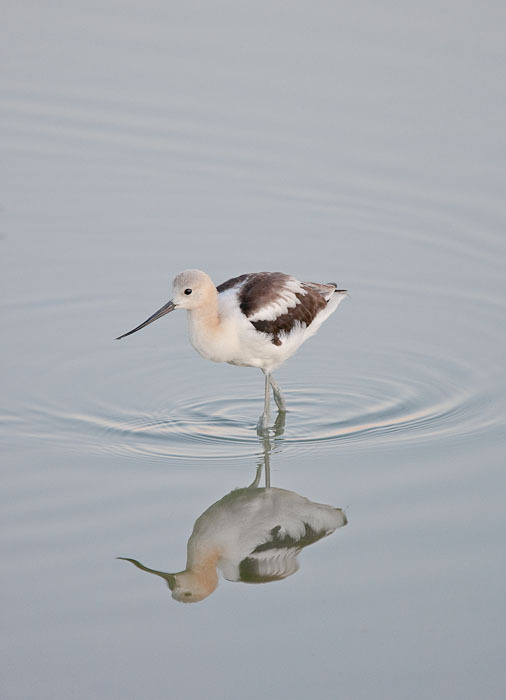 American Avocet, Bear River Migratory Bird Refuge, Brigham City, Utah. 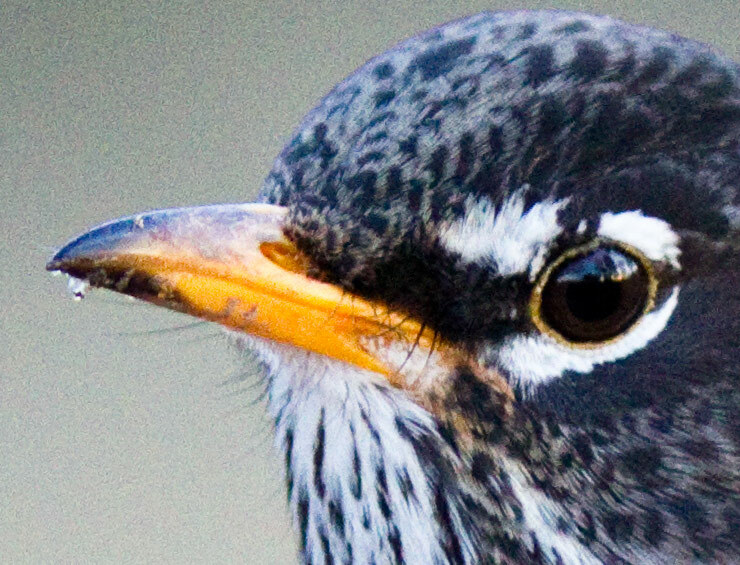 Canon 1D IIN and 400mm f/4 DO IS lens; exposed 1/160 sec. @ f/4, ISO 800. I had only two days there, and the weather on the second day was somewhat uncooperative due to some storm systems that were moving through (the high winds were still blowing the next day for our flight out of Salt Lake, which made for a turbulent take-off! 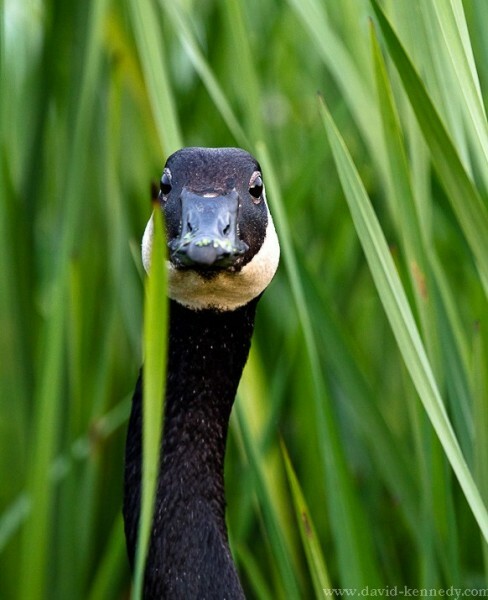 ), but would say that the opportunities for great bird photography are there. Artie Morris took a trip out there in 2006, so my observation comes as little surprise. When I return, which will probably be in 2011 as the refuge is planning an extensive road paving project into the middle of next year, I would definitely try to time my visit for May or September. The real treat for me at Bear River is the great numbers of American Avocets. Unfortunately, by the time I found an ideal pond on the side of the refuge road where the sun angle was perfect, the quality of the light was great, and the birds were close, it was also getting dark. Many of my pictures were made at ISO 800 on the 1D IIN, which is what I consider the limit for acceptable noise for wildlife photography (on that camera). An aside: I made photos with the 5D Mark II at ISO 2500 and 3200 that I would have no shame in printing large as the noise is so low, but the IIN has real issues beyond 800. For photojournalism and sports, I don’t mind going to 1600, but 3200 is absolutely horrible. The 1D III is a different story, but so is its autofocus! One thing that I truly enjoyed about Bear River in early August is that it felt like I had the refuge to myself. I passed very few other cars, but strangely saw only one other photographer. 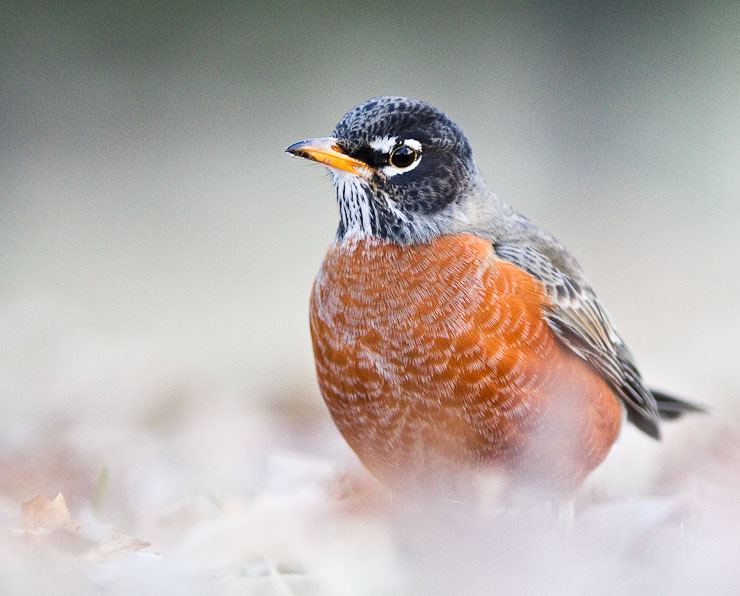 Amazingly, the opportunities for photography are not limited to birds and wildlife. The landscape of the refuge is stunning: the mountains in the background are reflected very clearly in the “units” of the refuge that have been flooded, essentially creating a large lake, and some of the wetland grasses and sedges make interesting, layered patterns. 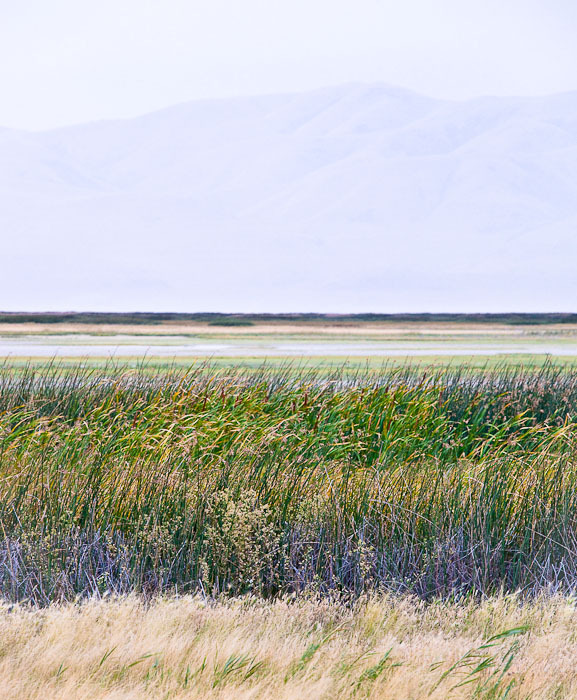 Wetlands and mountains, Bear River Migratory Bird Refuge, Brigham City, Utah. Canon 5D Mark II and 70-200mm f/4 L IS lens; exposed 1/40 sec. @ f/8, ISO 1250. More of this post after the jump! 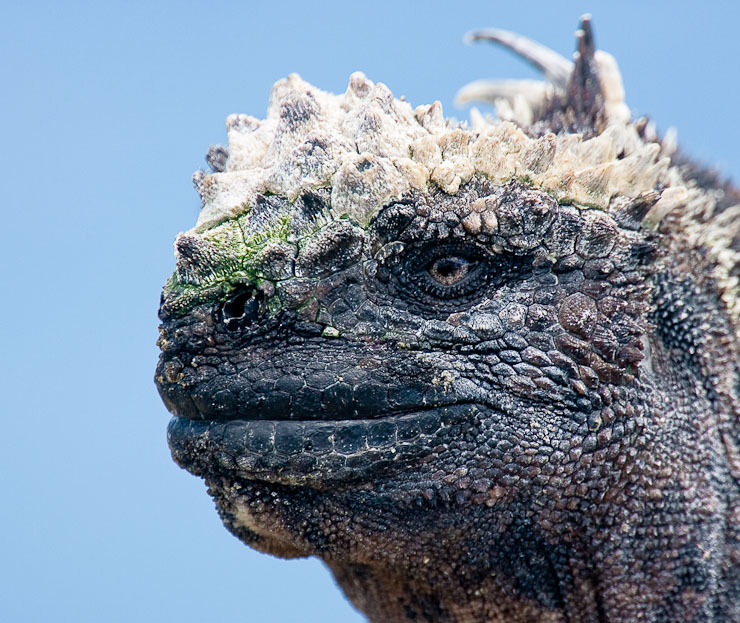 Marine Iguana against the Pacific Ocean, Fernandina Island. Canon 1D IIn and 400mm f/4 DO IS lens with 2x TC (800mm effective). Exposed 1/200 sec. @ f/8, ISO 400. 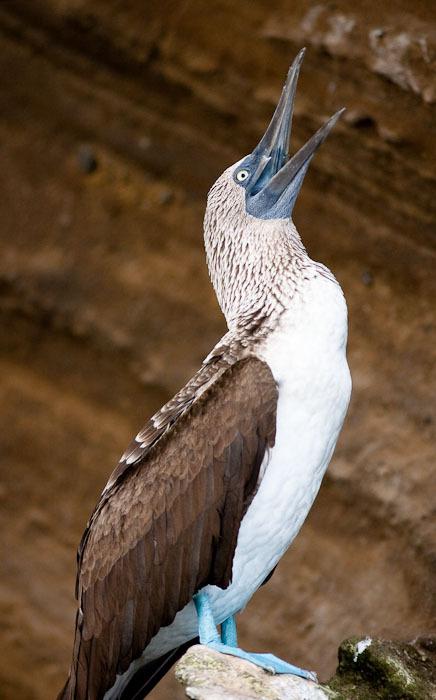 Blue-footed Booby calling, Isabela Island. Canon 1D IIn and 300mm f/4 L IS lens. Exposed 1/300 sec. @ f/4, ISO 400. Click image for larger version. I returned from the Galápagos islands to Quito, Ecuador on Saturday and flew back into Milwaukee, Wis. yesterday around 9:30am CST. All luggage arrived back home safely, so I spent most of the day alternating between unpacking and laying on the couch. (I didn’t sleep on the red eye flight from Quito to Atlanta, but I did get a couple hours on the flight back to MKE). Overall, it was a wonderful experience and the group, led by Artie Morris, was composed of many great people as well as our excellent guide to the Galápagos. I have just begun the process of ranking and keywording my photographs from the trip. 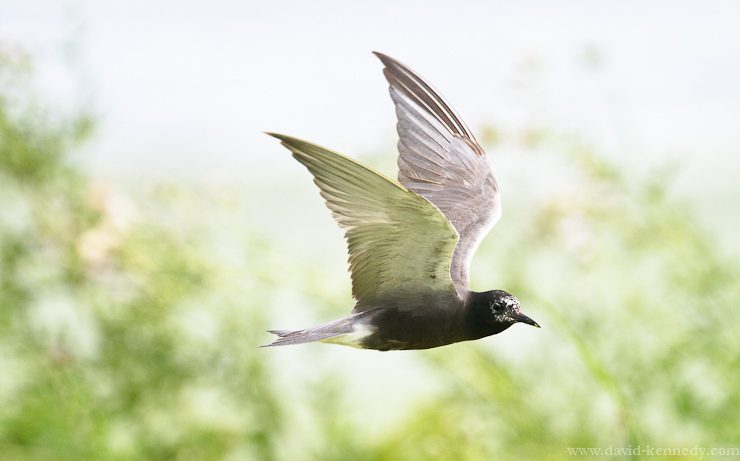 So far, I have only worked up three images–none of which have had more than Lightroom adjustments applied to them. I’m saving the cases that need some Photoshop magic for later! Eventually, I will post the best photos from the trip in a gallery on my Zenfolio Web site, and many images might find their way into my wildlife and landscape portfolios on this Web site. 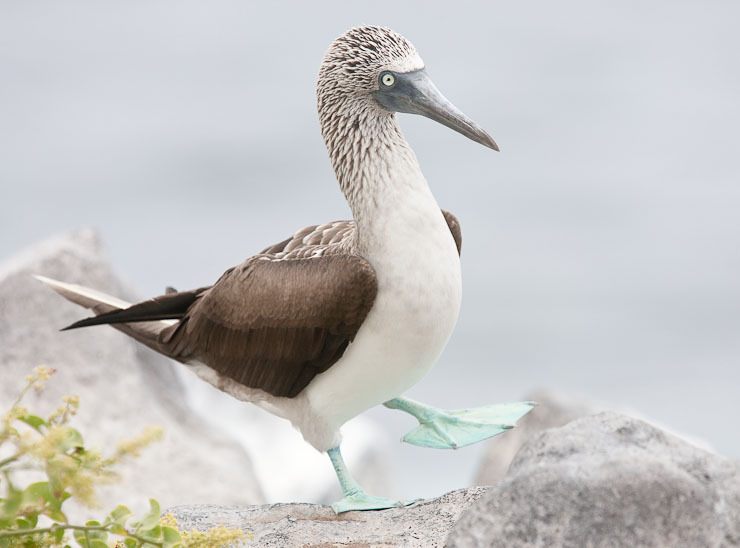 Blue-footed Booby preparing to display, Hood Island. Canon 1D IIn and 400mm f/4 DO IS lens. Exposed 1/1250 sec. @ f/5.6, ISO 320. 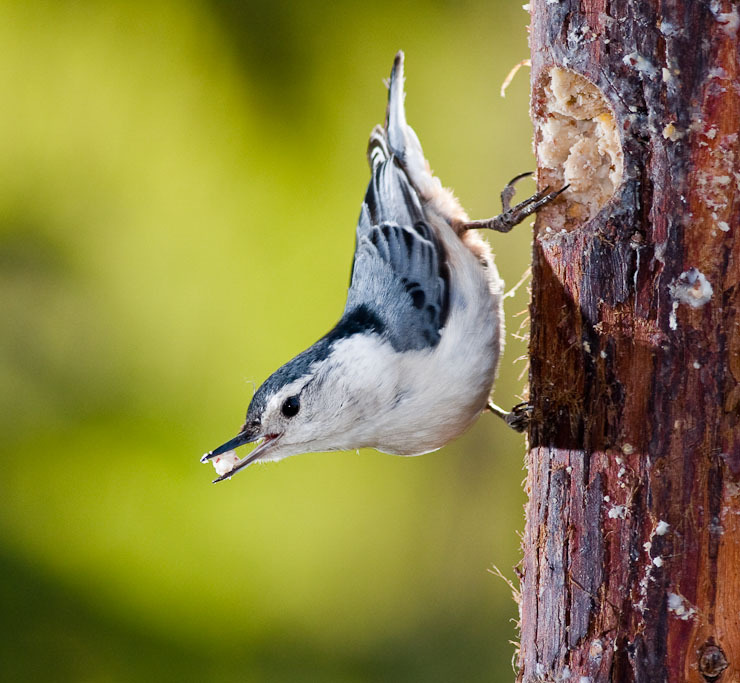 Health Care for Song Birds from David Kennedy on Vimeo. 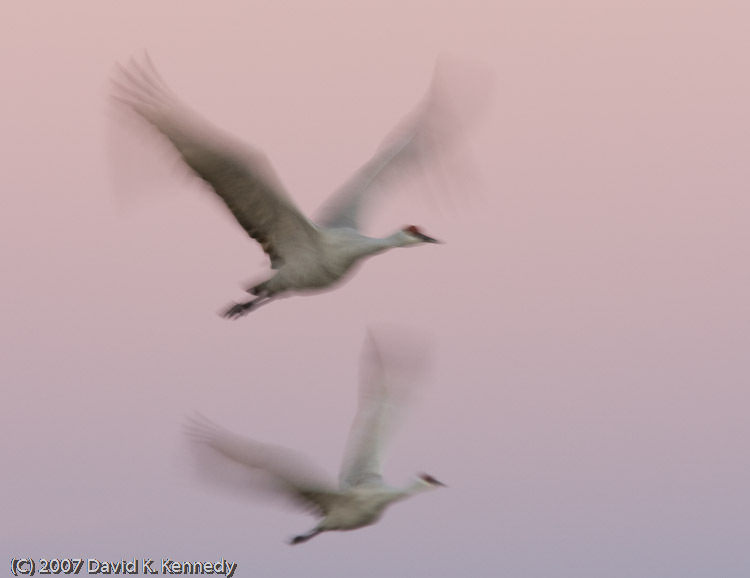 I recently returned from Bosque del Apache National Wildlife Refuge in San Antonio, New Mexico. I’ve posted a small gallery online and more images will follow. Bosque was certainly slower this year than during my visit two years ago. The corn fields have been cut far away from the Farm Loop road, and the weed–especially Salt Cedar–have grown to the point that they block any view to be had from the road. The mornings were the most productive, and in the afternoon Dad and I would find ourselves driving aimlessly until 4pm, when the cranes would begin to fly back to the pools on the entrance road.